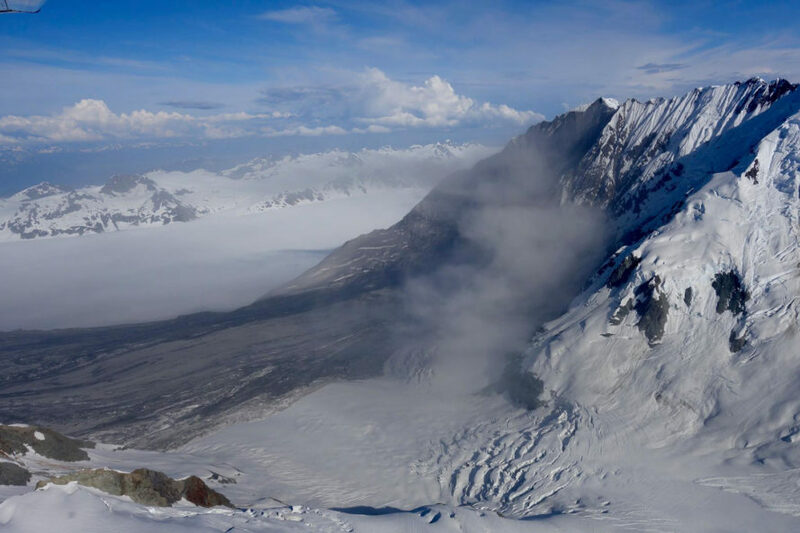 At the end of June, a 4,000-foot-tall mountainside crashed down near Alaska’s Glacier Bay, resulting in a colossal landslide. While nobody was around when it happened, Pilot Paul Swanstrom of the Mountain Flying Service recorded the avalanche about two hours later with pictures and a video (see it below the jump) which demonstrate the enormity of the slide. No one was harmed by the landslide, despite its Richter Scale rating of 2.9. After the mountainside collapsed, around 150 million tons of mud and rock generated a debris field that stretched 6.5 miles. Swanstrom said dust lingered above the site but didn’t pose any danger to him as he flew by. Across the United States in New York, Columbia University professor Colin Stark and colleagues detected the rock avalanche with seismometers. Stark said they knew about the event shortly after it occurred on June 28. He estimated the force of the landslide was likely intense, about 280 giganewtons, or as if around 100 million cars crashed down the mountainside. Both Swanstrom and Stark said the landslide could have been the largest one in many years. Swanstrom said an avalanche that happened a few years ago had a debris field that stretched around four miles, less than the recent event. 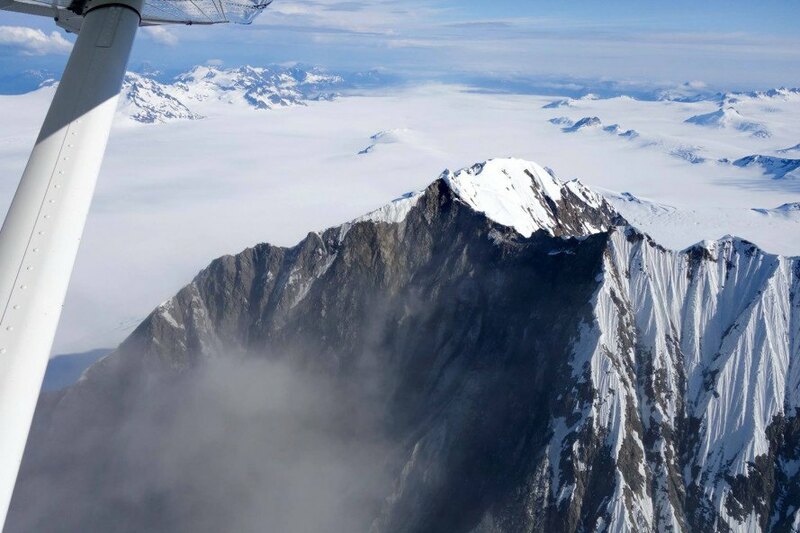 Stark will be flying to Alaska soon to collect sediment samples from the landslide. 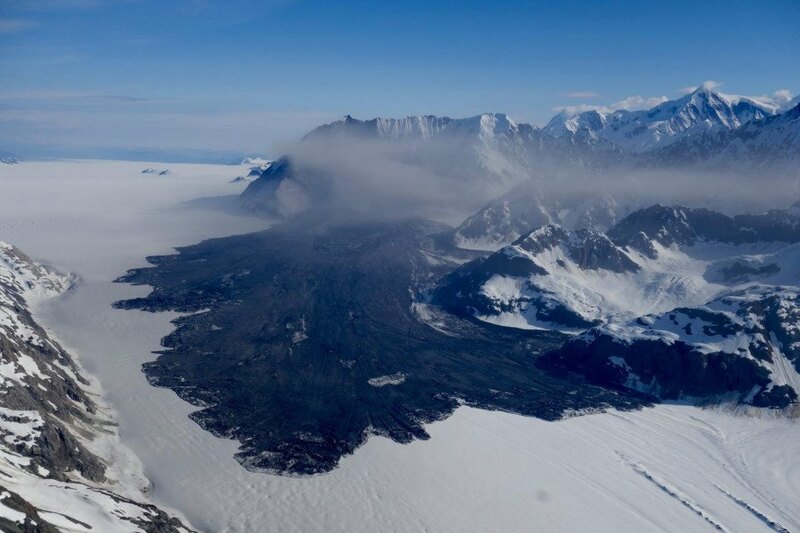 A local pilot found a massive rock avalanche close to Glacier Bay in Alaska. Pilot Paul Swanstrom flew over the landslide around two hours after it happened. Part of the mountainside crashed down, creating the landslide. The debris field from the landslide stretches around 6.5 miles.